Rossborough is helping to pay for the veterinary care for three sick cats at the GSPCA with funds raised through the sale of pet insurance policies during 2015. The insurance broker sold and renewed 151 policies last year and donated £10 from each to the GSPCA, bringing the donation to £1,510. In 2014 a scheme was launched to help protect Guernsey pets while providing funding for the island’s leading animal charity. 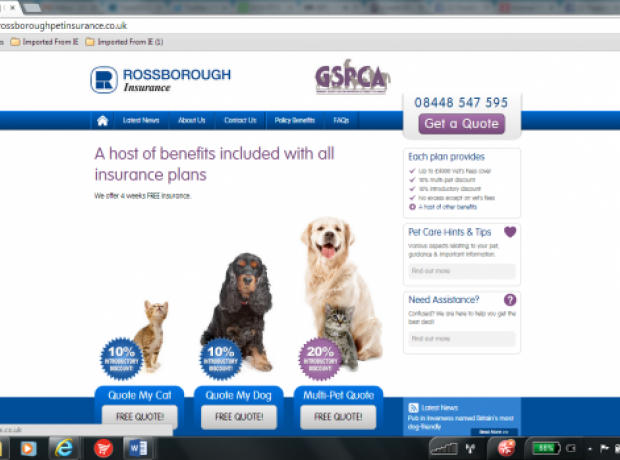 Rossborough has pledged to give £10 to the Guernsey Society for the Prevention of Cruelty to Animals each time an islander takes out pet insurance. The partnership has been a huge boost for the charity, which last year undertook the largest ever redevelopment project of its site in St Andrew’s. Last year a new scheme was launched to help protect Guernsey pets while providing funding for the island’s leading animal charity. The partnership has been a huge boost for the charity, which recently started a multi-million pound redevelopment of its site in St Andrew’s. 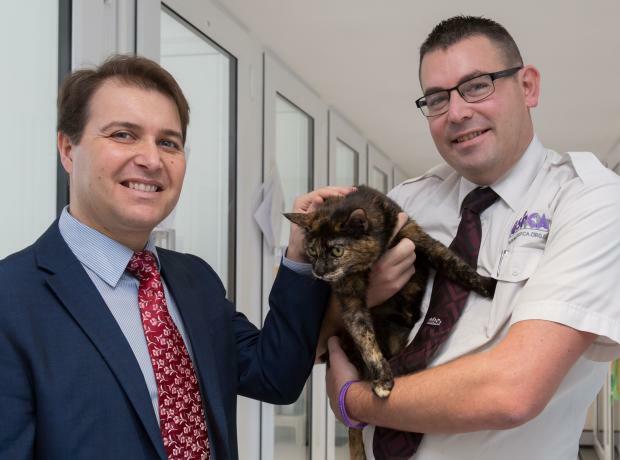 A NEW scheme has been launched to help protect Guernsey pets while providing funding for the island’s leading animal charity. The partnership is a huge boost for the charity, which recently unveiled plans for a multi-million pound redevelopment of its site in St Andrew’s.